Anyone who has survived cancer will tell you that there is never a moment where the doctor turns to you and declares “you are cured”. To my knowledge that didn’t happen when I survived cancer as a child and it certainly didn’t happen this time round as an adult. Every six months you are simply told “all is looking good, I’ll see you in another 6 months”. I was first diagnosed with cancer as a seven-year old. I had a stage IV Wilms tumour. It was pretty far gone and I had tumours in my lungs, my arteries and my kidney. As well as having my kidney removed, I had extensive chemo and radiotherapy. I was very lucky to survive when many others on my ward didn’t. 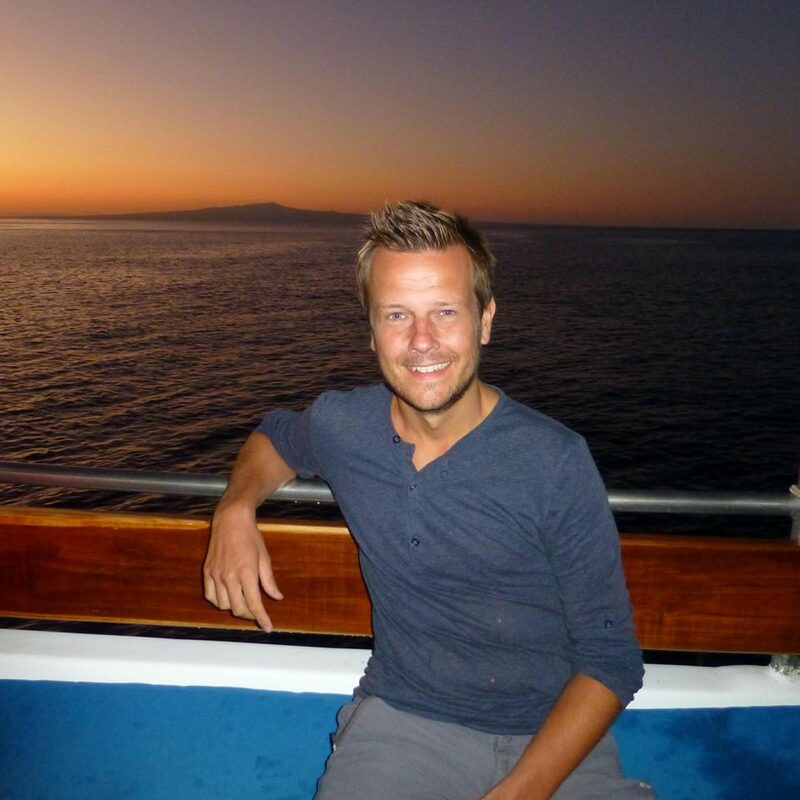 My worst fear came true at the age of 30 when I was diagnosed with bowel cancer. I couldn’t believe it. My mum had always told me that I’d had my tough time in life and that it would never come back. Perhaps rather naively I believed her. Getting cancer as an adult was a completely different experience to that as a child. The only things I remember about being ill as a child are being sick all the time, losing my hair and the smell of the chemo. I don’t remember ever worrying immediately afterwards whether it would come back or not. People would say how brave I was but in truth I just had no idea what was going on. As an adult I completely crumbled both before and especially afterwards. When I was ill I always believed I would get better but when I was better I didn’t believe that I was. I liken it to climbing Everest only to get the top and then suddenly having all your ropes and safety equipment taken away. I was gripped by fear. Fear of the cancer coming back, fear it hadn’t actually gone, and fear that I had very limited time. This fear led to a whole assortment of issues. I suffered from insomnia, spending most nights staring at the ceiling first just worrying about cancer and then about pretty much everything else. I then developed severe eczema on my face and body and, when I did sleep, I suffered from night sweats. I was highly emotional and lost all my confidence. I felt like a glass filled to the top and just one drop would send me over the edge. The worst thing about all of this was that I hated myself for feeling this way. Wasn’t I supposed to be filled with pure elation and with a new love of life, like all the cancer survivors I’d read about? I was certainly grateful but happiness seemed to elude me. I’d gone from someone who was confident and enthusiastic about life to someone who didn’t even want to leave the house. When I saw friends they would often comment on my skin or how tired I looked. It was tiredness that led me to finding out I had cancer, so each time someone said this all I heard was “Greig, you still have cancer”. I honestly thought I was losing my mind. Cancer was all I thought about. I tried different forms of therapy and eventually resorted to anti-depressants. The relationship I was in then ended; looking back perhaps shouldn’t have come as a surprise. I wasn’t the man she fell in love with anymore. It wasn’t until I chanced upon an article in a women’s magazine that it occurred to me that maybe everything I was feeling was actually normal. The article was about the singer Kylie Minogue. Kylie had survived breast cancer and in the article she said that there wasn’t a day that went by where she didn’t think about cancer. Perhaps selfishly, this made me feel better. It seemed I wasn’t alone in thinking this way. I had read so many books where people proudly claimed that cancer was the best thing that ever happened to them. This was the first thing I’d read which I related to. It took my doctors a long time to use the term Post-Traumatic Stress Disorder for my mental and physical condition. I had always associated PTSD with the military and war so I’d never associated it with cancer or illness. This seems ridiculous now considering it is all in the title; ‘post-trauma’. It doesn’t matter what kind of trauma it is. My issues with PTSD have been worse than both my cancers put together. When I was ill I always had hope that I would be okay but that hope quickly vanished when I was better and it was the worst feeling in the world. Without hope I was lost. I’m currently on an around the world trip and it’s my on-going experience with anxiety and PTSD that not only prompted me to take it, but also to share my story. I wondered how many people out there hadn’t read that article about Kylie and I wondered how many people felt like I did. The good news is that a feeling of fear and anger after cancer is completely normal, and the anxiety can be controlled. I have received hundreds of emails from people around the world who have gone through exactly the same thing. I found that simply writing a list of things to look forward to helped me to overcome my fear of the future. Within a couple of months of writing my list I started to sleep again and my skin cleared up. I started to feel excited about the future instead of fearing it. Cancer is still my first thought of the day but I can now turn my thoughts around to much happier and optimistic ones. I have found that doing things you enjoy is the best medicine of all. You don’t have to travel the world but simply do some thing that makes you happy. Watching the sun go down or having a cup of coffee while watching the world go by are still my most favourite things in the world. I just try to do them more often now. The main thing people should know who are also going through this is that you are not alone and that there is hope. You can follow Grieg on Twitter at @101Greig. You can also follow his adventures of 101 Things to do when you Survive on Facebook here. Between Jan 29th and February 1st, Shine ran our second Great Escape. For those of you who don’t know, the Escape is one of our best events – a three and a half day get together for young adults with cancer. We take over a hotel, we hang out, we talk about all the stuff we don’t usually get to talk about (like dating, depression and infertility) – and this year we hit the karaoke hard. You can see a video of our 2014 Escape here. 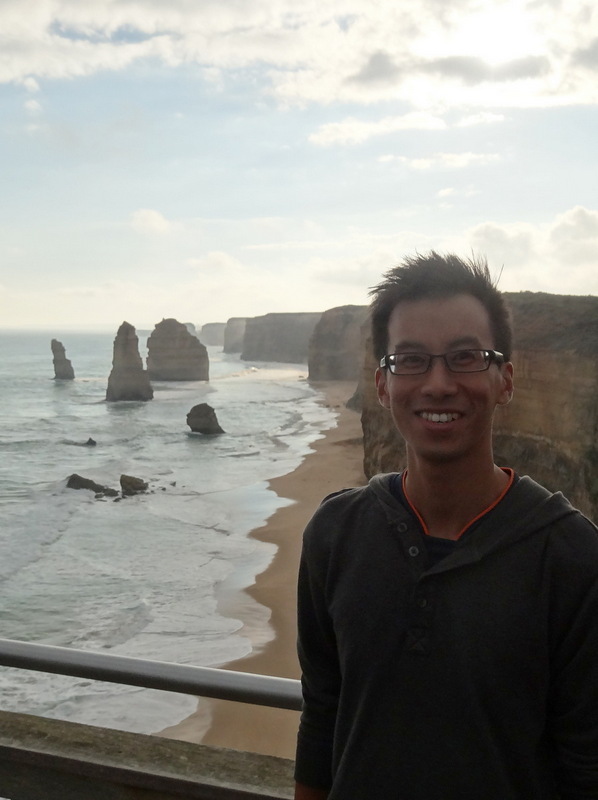 One of our Escapees, Minh, has written a bit about his experience at the Escape. Take a read – and get ready to sign up for Great Escape 2016! I began writing this as I sat on the train to head down Bournemouth for the Shine “Great Escape”. I’ve been in remission coming up to 8 years now and have pushed it to the back of my mind quite well. I can’t help but feel scared about spending four days talking and hearing about the subject cancer. I fear bringing up the past. Why then, did I decide to go on the Escape? Well the fear didn’t really occur to me when I applied! Looking back on my application, I put that “I would like to spend time with people who have and are going through similar things that I’ve been through, particularly in my age range”. I’d been to a couple of the Shine meet ups in London where I had met a few of the other “Escapees”. To help everyone get to know one another a little, we were all asked for a photo and a few paragraphs about ourselves to circulate. And to get us talking, a private group on Facebook was set up for us. It seems that I wasn’t the only one feeling slightly nervous. I wasn’t sure what to expect, but with clear skies from the window of the train, I hope for it to stay like this for the walk on the final day! The whole experience and organising was great! Shine knows not to jump into the heavy topics on the first day, with everyone tired from travelling and new to one another, so they ease us in with introductions, let us get to know each other, have us do magazine cutting collages, and share our first dinner together. It was a very warm welcome. The following days, a number of different sessions were run, some for everyone and the others in parallel, allowing the Escapees to choose the sessions that was more relevant to them. I’ve only been to the standard conference-type events, where you sit in an hour long session just to hear a couple of people talk, so that was what I thought the Escape would be like – but it wasn’t. Instead, there would be a short talk on a topic and then some form of interaction, whether that was breaking away into smaller groups for a bit of discussion before feeding back to the group as a whole or individually. For me the topics were interesting, thought provoking and sometimes hard-hitting. I particularly found myself nodding (well inside my head!) to a lot that was said in a session about Post-Traumatic Stress Disorder (PTSD). I’ve bottled a lot up and not really spoken about cancer until it’s too late and I have some form of breakdown. This session told me that I’m not the only one having trouble after remission and also that this can happen not just straight after treatment but many years later. There was a lot to take in over the four days and I didn’t get time to process it all during the time away. There is so much going on, but its not always full-on; there are plenty of tea and coffee breaks (much cake included!) and you get free time to explore Bournemouth, the beach (5 minutes away), chat with others or just relax in your room. In the evenings, to take your mind off it all you could play a bit of bingo (with a variety of alternate bingo number calls) or partake/listen to the rest of the gang hitting up the mic and doing a bit of karaoke. There was a sadness to be leaving the others at the end of the Escape, but I also felt ready to go back to my life, and ready to take action on the next steps. The end of the Escape, but the start of moving on. During the Escape, I thought about what I was looking for, why I came to the Escape and what I really wanted. This kept changing from session to session, day to day. After the first day I was sceptical about whether I would get anything out of the Escape as my mind seemed so lost and confused. So what did I get? Firstly, I got the realisation that I need to talk about what’s happened to me, to relive it and stop burying it in the back of my head, whether that be by writing a personal diary, blogging ,or talking to a counsellor. I will never be able to get rid of the memories of being ill, but everything I learned at the Escape will help to dampen the effect it has on me when it suddenly crops up in my head. Second, in the other Escapees, I’ve found friends who understand and who I can talk to when it feels like there is no one. Everyone is very supportive of one another and even after the Escape that has continued online. Overall I feel good! I’ve had a bit of weight off my shoulders and though I’m not sure how long this feeling will last, I now know what needs to be done. I think this is the first time that I’ve been in a positive mind-set about my cancer since I got into remission. What people get out of the Escape will differ depending on their experience, but one thing is for sure: you will meet a fantastic set of people. The Escape was full of laughs (and some tears) as well as fun, and amazing people. It’s something I needed and something I will never forget. Thanks Shine and big hugs to the Escapees of 2015! Minh Ly is a member of Shine’s London network. He was treated for lymphoma 8 years ago and is in remission. Life – but not as you knew it: No way back! One of the things that no one tells you when you’re first diagnosed with cancer is that you’ll never be the same (and if they told you, you probably wouldn’t believe them!). Whatever the outcome of diagnosis and treatment, many people feel changed. This can be a disorienting feeling – after all, we just want to get back to normal, don’t we? In our latest blog, Jen shares her thoughts on some of the good and bad changes that she’s experienced since her diagnosis a year ago. Here at Shine we don’t always push “positive thinking” because – let’s be frank – there’s A LOT about cancer that just isn’t positive. However, as Jen points out, “there’s nothing like a life threatening illness to highlight what’s truly important in life”. It’s a shame we don’t often get this insight without the life threatening illness, but it’s still worth remembering! If I had the choice of never having had cancer and returning to the life I was living before, I most definitely would. The rollercoaster of a cancer diagnosis and treatment is a long, bumpy, and terrifying ride. It’s also one that does not end where it started. To quote the title of this blog series: it’s your life, but not as you knew it! As I slowly accept a new version of me within my strange new world I am starting to appreciate the positive changes that have come about due to my ride on the cancer rollercoaster. I may have new limits but I also have new priorities, new perspectives, and new hopes and dreams. Following my diagnosis last October, I took a stoic approach, gritted my teeth and readied myself for six months (Ha ha! This was my first naive mistake!) of gruelling treatment. I was determined that I would get through whatever I needed to, be cured, and then return to my normal life. I would plod on with living as if cancer had never happened (this was naïve mistake number 2!). Almost all of my family and friends shared my naïve view, and why wouldn’t they? Unless you’ve had experience to the contrary it is a perfectly sensible view to hold. Many times throughout my treatment I was reassured by well-meaning friends and family that it would soon be over and I would get back to normal. The concept seems laughable to me now, but for at least the first few months of treatment the thought of returning to a “normal” life kept me going. I was fiercely determined not to be “changed” by cancer. I did not need a brush with my own mortality to be taught to appreciate life thank you very much! It’s very difficult to accept change when it is forced upon you so brutally. Initially it was the superficial, physical changes that were my focus and I was determined to return to exactly how I looked “before”, as soon as possible. At times it felt as if my entire identity was encapsulated in the way I looked. I think the focus on these superficial things stems from the fact there is absolutely nothing you can do about the non-superficial things that have been changed. The scars from surgery, the damaged nerves and muscles from chemotherapy and radiotherapy, the terrible memory and disrupted thinking process – it has been hard to accept these things as part of my new life. As time has passed, however, I’ve had to slowly learn the art of acceptance rather than try to return to ‘normal’. I will never look like I did before and I will never feel like I did before but, you know what? That’s OK. I may be the same person but my experiences have shifted my life onto a completely new trajectory. There are, of course, the physical changes that I have to learn to live with. I must accept that I may never regain the same level of fitness and health I enjoyed before and that there may be permanent damage done by treatment. I am learning to let go of the anger and bitterness that I sometimes feel about that. It’s easy to say “well at least I’m alive” but at times it’s difficult to feel that. And then there is the threat of a recurrence that all cancer “survivors” must learn to live with. I need to learn to supress the reflex to break out in a cold sweat every time I have a nagging pain or feel a lump or bump. I am assured it gets easier with time and I’m sure it will. Looking past these more negative aspects of my changed new reality there is, however, a much stronger and overriding positive change. There’s nothing like a life threatening illness to highlight what’s truly important in life. I have been shown the true value of relationships and witnessed the best of humanity in the love and support I’ve had showered upon me. Small acts of kindness have meant so much. I hope that in my new life I can always remember how these small gestures have impacted upon me and pay the kindness forward. I know more about myself now than I did a year ago and I have an appreciation for aspects of my personality that I perhaps didn’t previously value or recognise. I am aware of how quickly ‘good health’ can be whisked away and I find joy in simply being able to walk or run in the sunshine. I try to focus on what I am doing more and think about the future less. Living in the moment is such a cliché but, for me, it has been directly correlated with peace and happiness. In my new, post-cancer life I have found a deeper appreciation of how I can create my own happiness, and I fully intend to create as much as possible. Returning to ‘normal’ is no longer my goal. My new normal is pretty damn good. There’s no going back. And that’s OK.
Jennifer has just finished her treatment for breast cancer. She lives in Dorset with her husband and two daughters – and, with two others, runs Shine New Forest! Having cancer is tough. Supporting someone with cancer can be just as difficult. So what do you do when you’ve got to do both as a young adult? 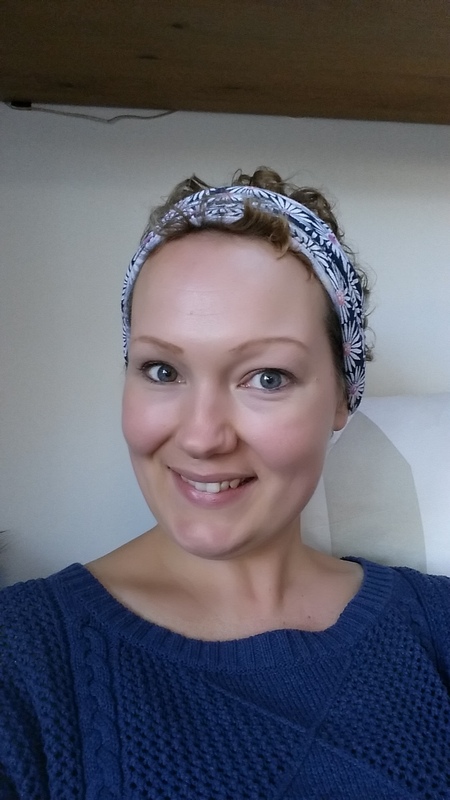 In our latest blog, Charlotte shares her story of coping with cancer twice in four years: first, when her husband was diagnosed with Hodgkin lymphoma and then, a few years later, when she was diagnosed with non-Hodgkin lymphoma. It’s a rare situation but it’s not unheard of – and across Shine we know a few couples who have had to deal with a cancer double hit. 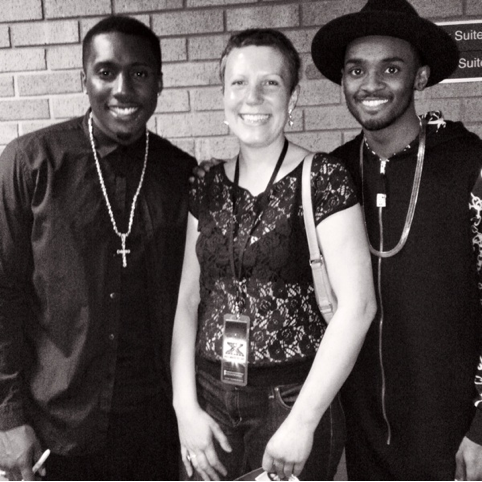 Frank and honest, we’re sure you’ll be able to relate to Charlotte’s thoughts on the changes that cancer brings. Please feel free to share on Facebook, Twitter or your blog! When you fall in love and share those three little words with someone, life is meant to be happy and full of dreams. But there are three other words that can change your life forever. Your dreams shatter into a million pieces and vanish beyond reach. Those three words are, of course, “You have cancer”. Any young adult with cancer would wonder what they did to deserve a potentially deadly illness at a young age, and would worry about what the future holds. But when both you and your husband have to hear those words, the world comes crashing down and is never the same again. This is what happened to my husband and me. Neil was diagnosed with Hodgkin’s lymphoma in 2009 aged 29, and had a recurrence in 2010. I was diagnosed with non-Hodgkin’s lymphoma in 2013, aged 32. 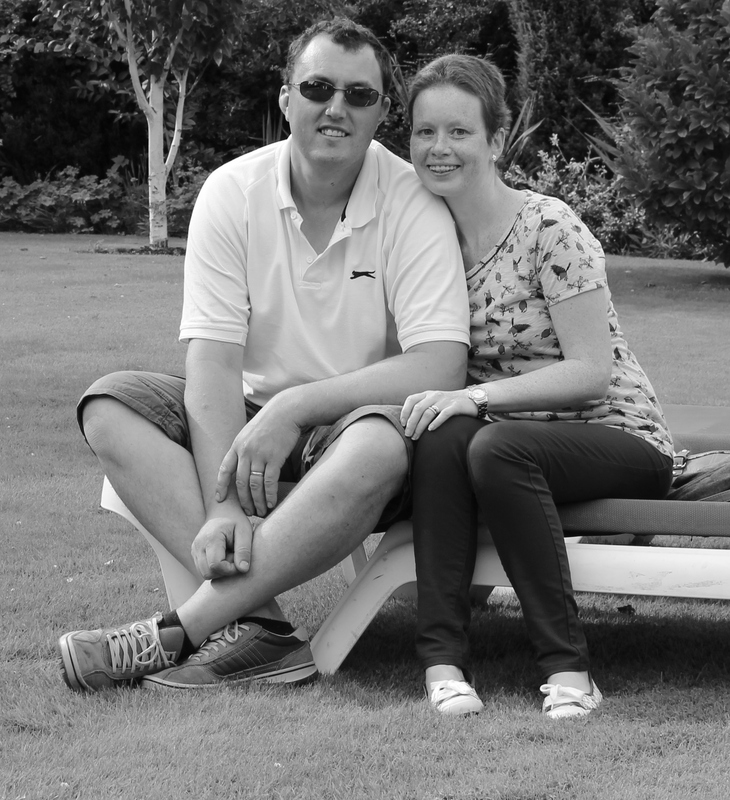 Neil had 6 months of ABVD chemotherapy but then went on to have further chemo, a stem cell transplant and radiotherapy. I endured an intensive course of RCODAX/M-IVAC chemotherapy, a high-dose regimen. When you take your vows, ‘in sickness and in health’, as we did in 2007, no one expects them to be tested to the limits until you are in your late seventies, if at all. The reality of what our relationship has become, with one another as well as other people, is a far cry from what it should be at our age. On the one hand I wouldn’t have wanted to share my cancer experience with anyone else. I feel blessed to have met someone who has stood with me through my darkest days. It is great that we truly understand how each other feels and that we can fully empathise about the effects of chemotherapy. We have shared the highs and lows, laughter and cancer jokes, and cried many, many tears. However, it is not what we wanted from our relationship. We had dreams of a family, a new house and successful careers – what every young couple wants for their future. But our lives are a far cry from this and we have been left feeling like we live in a bubble, looking in on people who are living our dream. When we told friends and family about Neil’s diagnosis it was a shock to all of them. Some tried their best to offer support while others struggled with what to say and do. One of the hardest parts for me was that, as people rallied round Neil, no one asked how I felt. I tried my hardest to be the strong one, to look after Neil and to hold down my full-time teaching job. As Neil recovered from his treatment we were unsure how to express our feelings to other people and found it easier to not contact people at all. Everyone’s life was moving on and ours was stuck on pause. Then we were hit again; when I was diagnosed, it was Neil’s turn to juggle a job and to look after me. Disbelief is the only word I can use to describe that day. Dealing with Neil’s cancer was hard enough but, with me, people were lost for words. They couldn’t find the right words to say so they often didn’t say anything at all. To the outside world that may have felt like the best strategy but being on the receiving end made me feel alone and isolated. Some friends stuck around to offer their support while others sailed off into the distance. We have watched friends and family get married, have children, buy new houses and new cars, get new jobs, and go on holiday. We have tried our best to share these happy moments but they have always been tinged with sadness and a bit of jealousy. Due to the side effects of our diseases and treatments we have had to make adjustments to our jobs and career plans and we can’t afford the bigger family home we were hoping for. The biggest loss for us is children. Before my diagnosis Neil and I went through IVF but were unsuccessful. Five attempts later we had to walk away empty handed, emotionally and physically strained, and our pockets full of debt. I survived my cancer diagnosis with Neil by my side and although cancer has changed the usual elements of our relationship it has bought us closer together. Neil was there every day to share a hug when there were no words to say. We have an unbreakable bond, we hold each others’ hands tightly and we are thankful that we have each other. Our relationship is one of love and trust. With our treatments finished, now is the time to bring back some fun and sparkle into our lives. Neil and I are in this journey for the long haul. We may not be able to have the same dreams as our friends but we can make new dreams that are meaningful to us. Charlotte lives with her husband Neil and their dog Willow. She hangs out with the Shine crew at Shine Dorset meet ups. Most young adults living with cancer have been told at one time or another that we ‘should live every day like it’s our last’ (if there’s one thing cancer is good for, apparently it’s a cliche!). But what happens when you go all out and try to make up for ‘lost time’? Is it possible to live life at 100 miles an hour and still function? Is our latest blog, Victoria describes her experiences of living her life in fast forward – what she did, why she did it, and the unexpected pressure that came with creating a ‘list for living’. Take a read. It’s a great reminder of the need to balance fun and a little bit of rest! The emotional aftermath of my recovery from cancer has felt like having an unexploded bomb in my back garden. Even though I know that it’s gone for now, I still dread the day that it may become active again. I worry that, after years of lying there quietly and undisturbed, it will begin ticking and become an immediate danger to me once again. While this feeling does not follow me around everyday, it catches up with me when I am faced with having to make future plans and decisions around my life. Simple and enjoyable tasks such as signing up to a new mobile contract, buying new furniture for my recently (pre-diagnosis) purchased home, or enrolling on a year long college course began to give me anxiety. I have felt – and still do feel – uneasiness around making future plans. Once I finished treatment, many well-meaning friends and family members wanted me to catch up on what I had “missed out on” and to live my life “for today”. Invitations flooded in – and I took them all! In the first six months after treatment I visited Brownsea Island twice, changed jobs, enrolled on an evening course in floristry, went to London Fashion Week, got a boyfriend (and ended it), saw an X Factor finalists’ show, visited gardens in Holland and Hampton Court, rocked out at two festivals, travelled to visit friends in Devon, Bath, Cardiff and London, and spent Christmas in the New Forest – and the list went on. Days out? Yep count me in! Night out on the town? Yes please! I even created a ‘list for living’ full of all those exciting things that I’d always wanted to do but had never got around to. Having looked cancer in the eye and showed it the door, the list became vitally important to me. I felt as if I had to fill every minute of my existence and not waste any time. So what’s wrong with getting that tattoo you’ve always wanted (yes I got one! ), doing that charity sky dive (not yet but I’ll be doing it for Shine when I do! ), or booking a holiday to India (I’m saving up)? Nothing I hear you cry. Do it! While ‘doing it’ is great advice, I had not counted on how exhausting it would be. I also discovered that the flip side of a life in overdrive can be unbearable disappointment. I had loads of amazing days out and fun times, but I often ended up feeling exhausted and unfulfilled. Take one of my living list items: run a half-marathon. At the time of my breast cancer diagnosis I was 38 and recovering from a recent divorce. Running had been a coping mechanism for the end of my marriage and, before my diagnosis, I had signed up to run a half-marathon for children’s cancer charity. I had completed many 5 km and 10 km races and was well on my way to achieving my goal. And then: bam! In March 2013, I was diagnosed with aggressive breast cancer in my right breast and was given six rounds of chemotherapy, a right mastectomy, and 25 blasts of radiotherapy followed by 17 Herceptin injections over 15 months. Throughout my treatment, much of my half-marathon training went on hold, though I am proud to say that I continued to run (slowly) throughout chemo, much to the terror of my parents. I even did an off-road 5km in the pouring rain between rounds 5 and 6 of chemo! Once I had my mastectomy, however, even my stubbornness couldn’t ignore the infections I kept getting in my surgery site as a result of pushing myself too far. When I realised I needed to stop, I felt a huge sense of loss and disappointment. My confidence in running had gone and, unbeknown to me, my little living list had put me under enormous pressure. 1) Set realistic goals and plans: I have re-written my list for living to be more realistic and flexible to my new needs. Running a marathon may not be possible but running weekly with my group certainly is. Following an 8-week return to fitness programme that I was referred to by my GP, my fitness has improved. Last week I went on an evening run and kept up with my friends for nearly 5km! 2) Be kind to myself: I have allowed myself to take it easy and, rather than beating myself up, I focus on how far I have come in the nine months since treatment. If I don’t feel like running one day, I don’t feel bad – I just go to the next session and move on. 3) Celebrate the new goals and don’t underestimate new achievements: In my new post-treatment life, I run daily marathons. These include getting myself up, showered and dressed (impossible after my op without help), walking my dog twice a day, going to work part-time and doing my own house work (which somehow always seems so satisfying now!). Is life dull? Not at all. I feel proud that I am taking back my independence. I still believe its great to plan and take small steps. But it’s also important to celebrate those steps and to remember that even though we are slow and hesitant we are still moving forward. Oh and the bomb? Well, hopefully if it starts ticking again I will be better prepared. I look forward to meeting the hunky fire fighters who can help to blow it up!